Variability gauge charts analyze continuous measurements and can reveal how your measurement system is performing. You can also perform a gauge study to see measures of variation in your data. Tip: This chapter covers only variability charts. 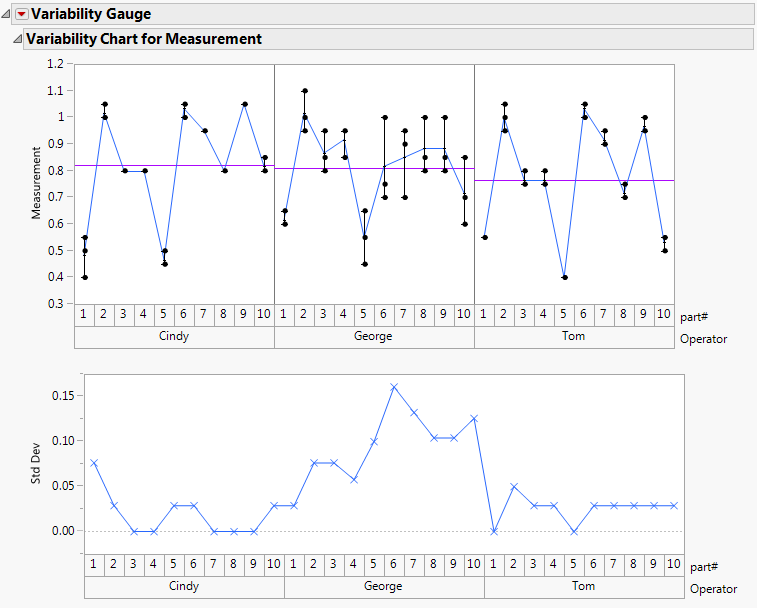 For details about attribute charts, see the Attribute Gauge Charts topic.